His work highlighted a progressive and thoughtful outlook towards society. 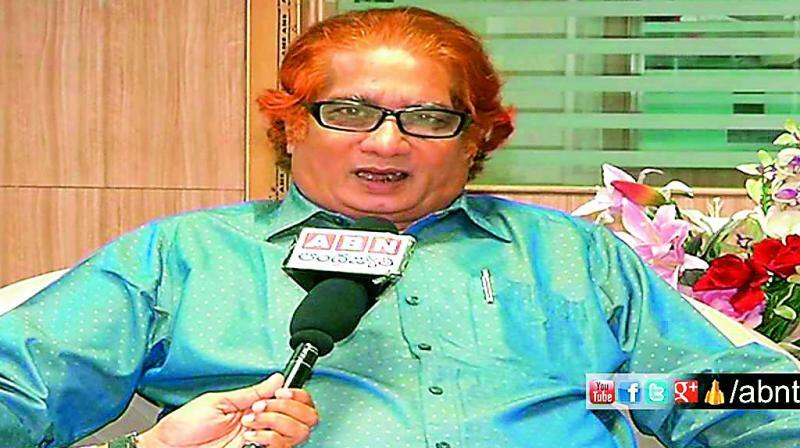 One of the most prolific writers of Telugu cinema, M.V.S. Haranatha Rao, passed away on Monday in Ongole. Aged 70 years, the writer was extremely popular for his thoughtful dialogues and had worked on nearly 150 films in the span of his career. Some of his dialogues for films like Pratighatana, Bharata Nari, Anna and Ammayi Kapuram became very popular and also fetched him many awards. Right from his childhood, Haranatha Rao was interested in Telugu literature and stage plays. He himself penned many stage plays, which went on to become quite popular. Among others, two of his famous plays, Lady Champina Puli Netturu and Aranya Rodanam, were adopted as films titled Erra Mandaram and Ida Prapachanam respectively. What’s commendable in the late writer’s body of work is that most of his dialogues are progressive and focus on the betterment of the society. His dialogues from films like Neti Bharatam and Desamlo Dongalu Paddaru, directed by T. Krishna, are especially memorable. Haranatha Rao also acted in a few films like Rakshasudu, Swayamkrushi and most recently, Teja’s Hora Hori. He is survived by his wife and three children.